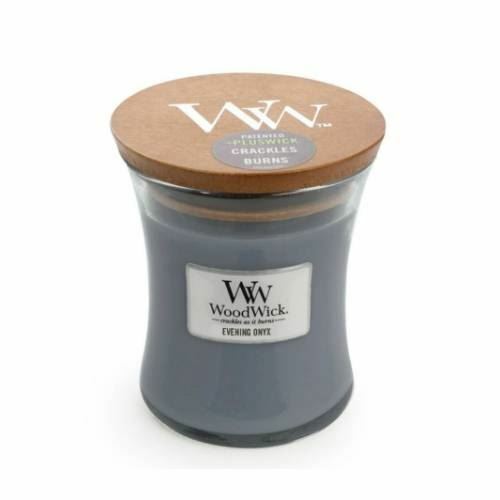 Woodwick Medium Jar, Evening Onyx - Jasmine leaf, black orchid and sandalwood. A mysterious treat for the senses. Jasmine leaf, black orchid and sandalwood. A mysterious treat for the senses.